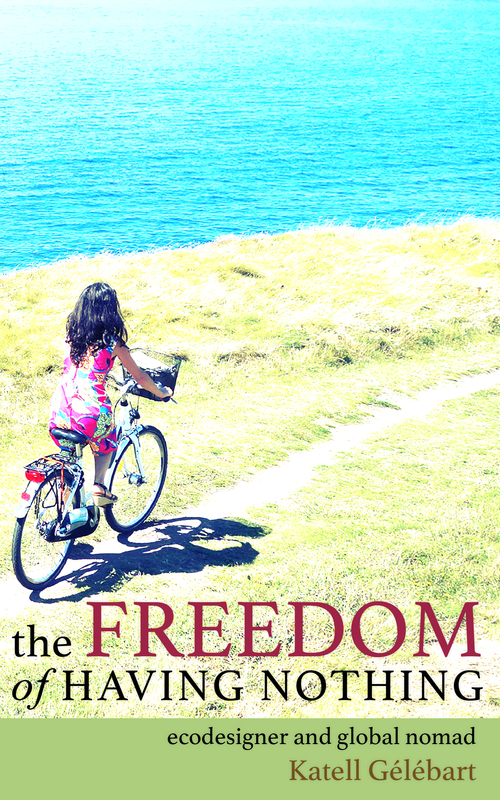 " The Freedom of Having Nothing..."
Katell Gélébart is a French woman from Bretagne, France’s wild north coast. Angry in her 20s, she turned to environmental activism and campaigning, hell-bent on changing the world. From her Paris university days she headed to nuclear-free Denmark and east European countries, marrying a Russian environmental campaigner at a mass nuclear plant demonstration. Self-taught and passionate about reusing since childhood, she opened ART D’ECO, a tiny eco-fashion boutique in Amsterdam, learning the hard way. Creating beauty from trash with communities around the world, Katell stays long enough to share their lives a little and inspire new ways of living lightly on the earth. Many times she has thought about letting her dream go to live a nine-to-five life. But in 2012 she was stunned to learn she had won the presitigious European Kairos Prize, an award honouring creative visionaries and trailblazers. Live presentation of the book ….